I've run this card blog longer than most, and the longer it goes, the more difficult it is coming up with original topics. I am all too well aware of when I'm repeating myself, and also too well aware that sometimes I don't know when I'm repeating myself. There are just some topics that I should never discuss again. And I'm going to do something about it by occasionally writing a series of posts called "I will never write about this again". 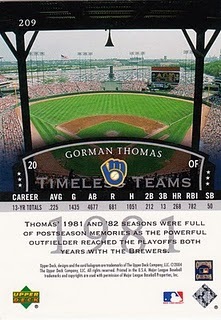 One of those topics is my four-year foray into fantasy baseball in the mid-1990s. I don't need to write about this again. I was terrible. It was a long time ago and the rules have changed vastly. It's time to let it go. The reason I haven't let it go until now is that I'm forever trying to remember what players were on my fantasy team during those years (1993-96). I finally did a little research and figured out most of them. I am going to list them here now so I will have this for posterity and never again plague you with fantasy baseball remembrances. So, yeah, this post is mostly for me, buy you'll benefit from it, too. 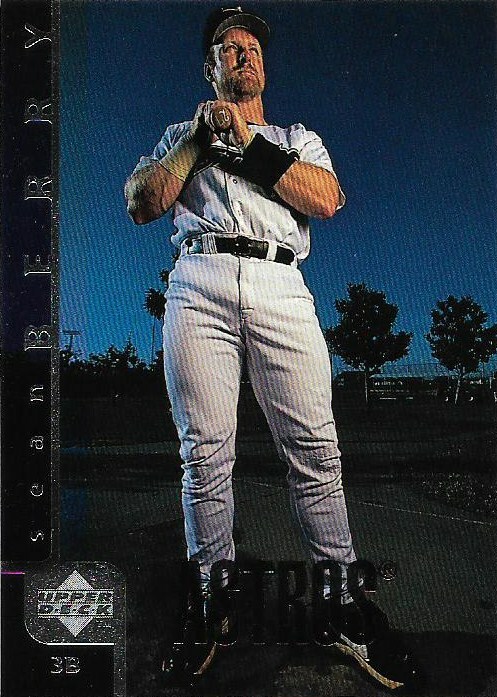 The Sean Berry card is shown because Berry was a player on my fantasy team and a nice representation of everything that was wrong with my teams. 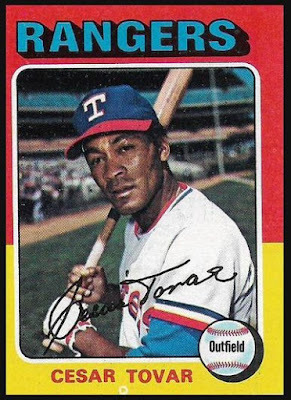 I gravitated toward up-and-coming players who would inevitably get injured. 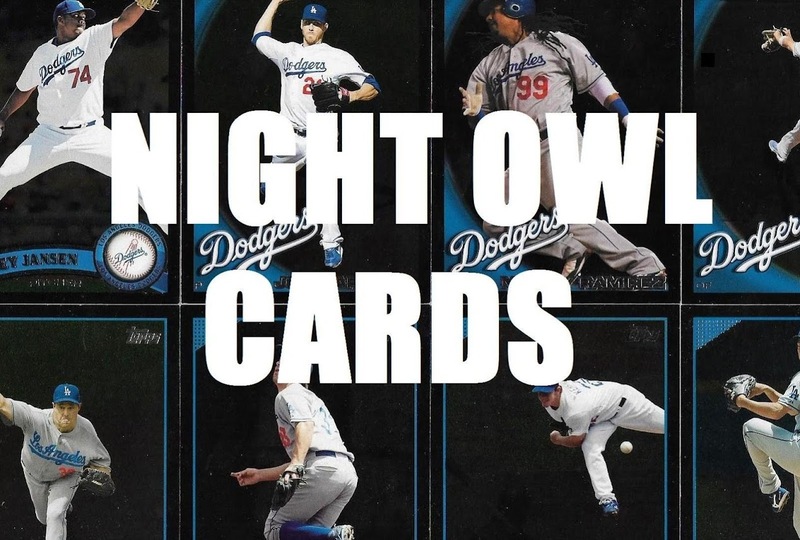 I don't even know if the Berry card is really a night card. It looks more like a dusk card. So it's a perfect card topper for this post. First Base: Paul Sorrento (starter), Bob Hamelin, Greg Colbrunn, Dave McCarty. 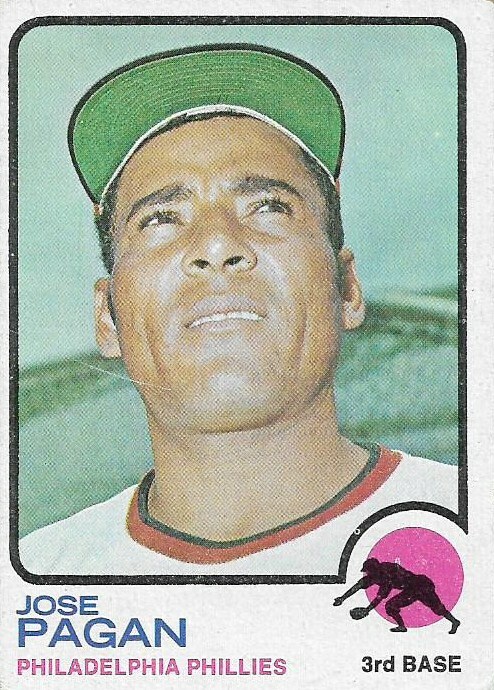 Second Base: Carlos Garcia (starter). 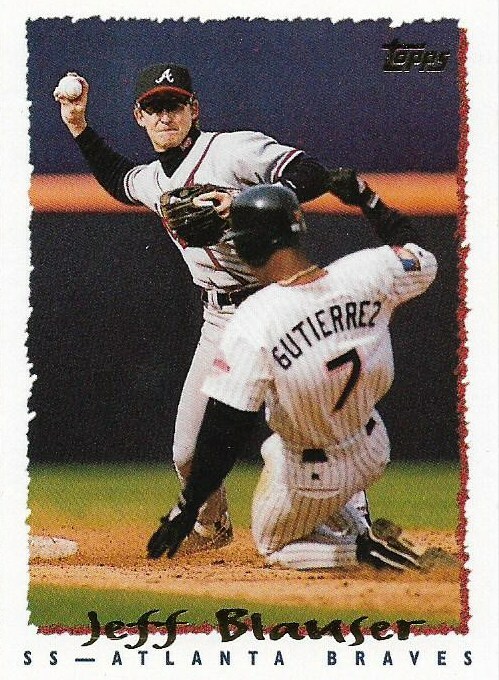 Shortstop: Jeff Blauser (starter), Rey Sanchez, Pat Listach, Benji Gil, Craig Shipley, Orlando Miller. Third Base: Dave Hollins (starter), Dean Palmer, Sean Berry. 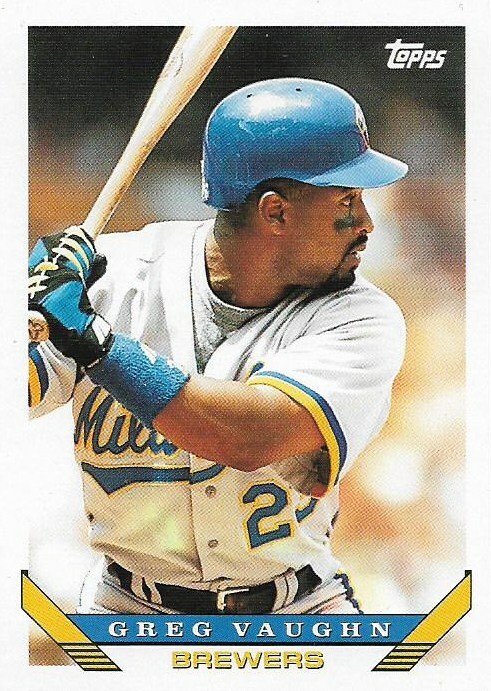 Outfield: Al Martin, Devon White (starter), Jeffrey Hammonds, Larry Walker (starter), Dante Bichette (starter), Midre Cummings, Ellis Burks, Bobby Higginson, Kirby Puckett, Michael Tucker, Billy Ashley, Raul Mondesi, Orlando Merced, Shane Mack, Eric Anthony. 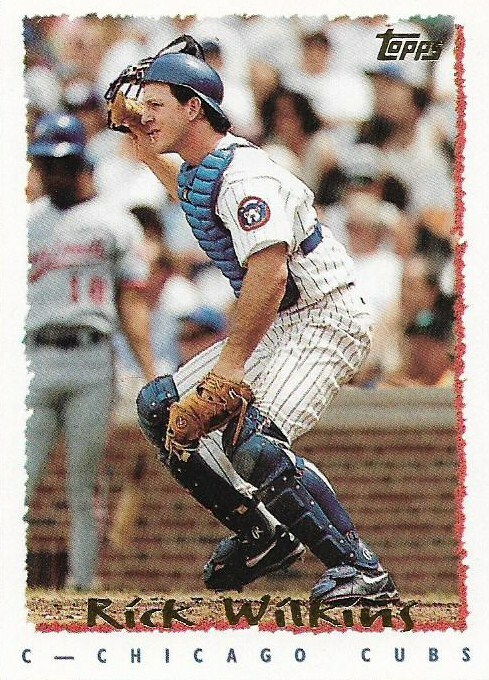 Catcher: Todd Hundley (starter), Rick Wilkins. 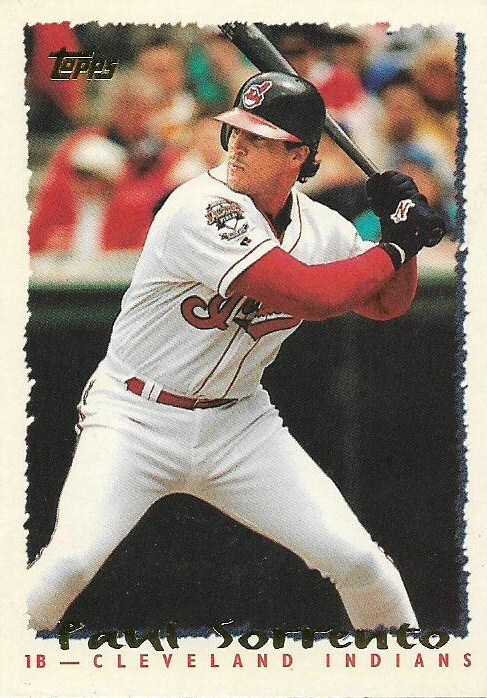 Designated hitter: Greg Vaughn (starter). 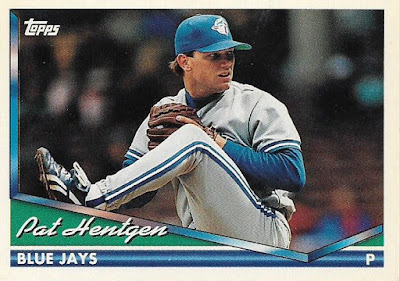 Starting pitching: Kirk Rueter, Wilson Alvarez (starter), Joey Hamilton, Charles Nagy (starter), Kent Mercker (starter), Pat Hentgen (starter), Chad Ogea, Donovan Osborne, Allen Watson, Pedro Astacio, Rene Arocha, Kevin Ritz, Chris Hammond, Kevin Appier (starter). 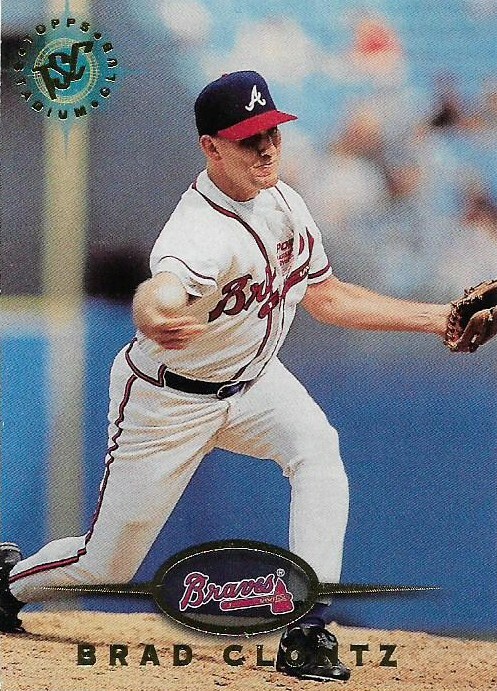 Relief pitching: Rheal Cormier, Curt Leskanic, Dan Miceli (closer), Brad Clontz, Doug Jones (closer), Julian Taverez, Rusty Meacham, Paul Quantrill. The "starter" indication is for the players who started for me the most. I'm sure I'm still missing names but I'll add them here if I think of them. Many of the players listed were pretty good, but I had the knack for picking them up just after their big year and then they fell apart (Rick Wilkins and Bob Hamelin, in particular, solidified my reputation as a jinx). 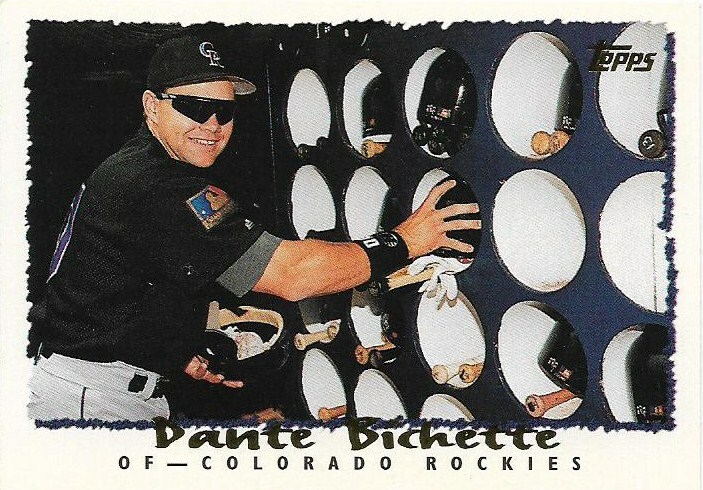 -- The Marlins and Rockies were new teams at the time and people like me were very tempted by their players. I always went for Rockies hitters as Coors Field rarely let an offense down. 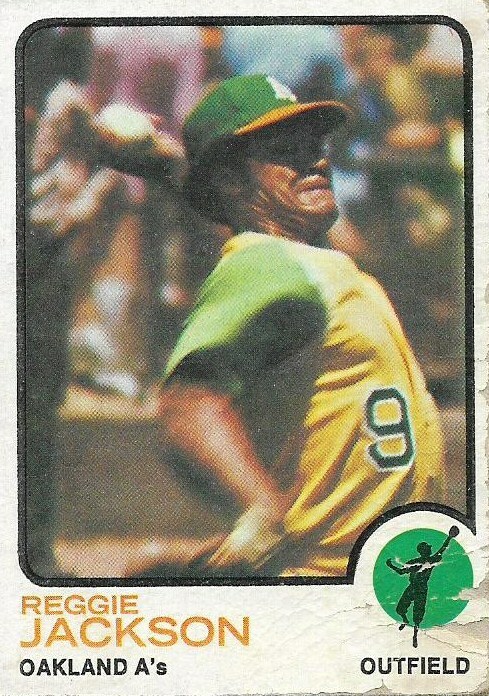 But I was also suckered by Rockies pitching. 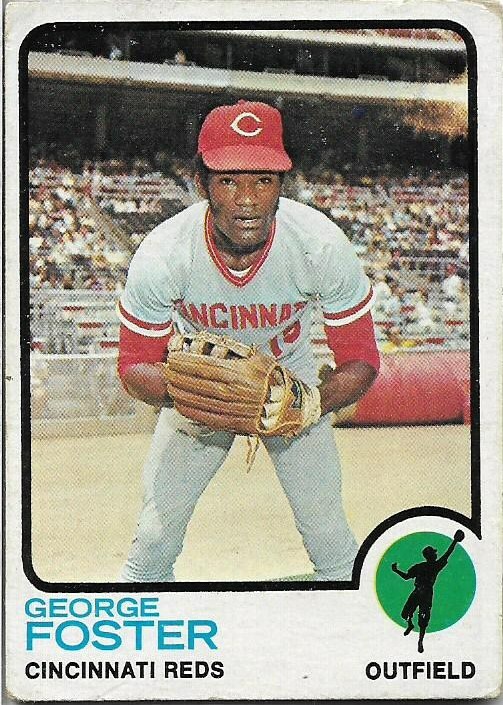 -- The competition for players was much tougher than it is now in the free-and-easy internet age of fantasy baseball. When a player went down with an injury, the options were not good. 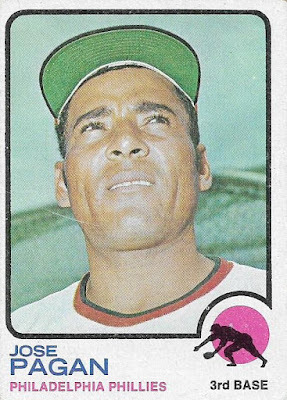 I think I picked up Rey Sanchez three or four separate times. 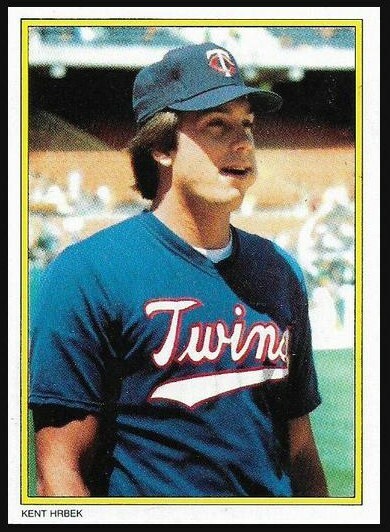 -- During my first year, my offense was so terrible, Bobby Higginson was my most reliable hitter. So, there, I finally have that all out of my system. 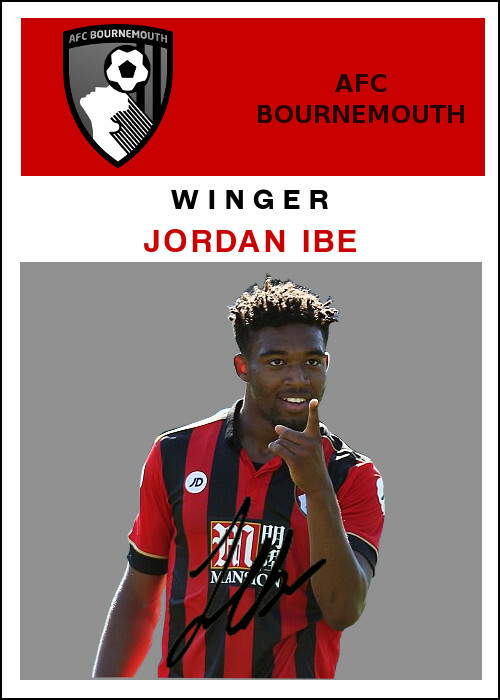 You'll never read me discussing my fantasy teams in-depth on this blog ever again. Unless, of course, I join a fantasy baseball league. But I'll have to stop writing 47 blogs first. Does it make the binder? : Dusk card or not, it's in. I don't know who first called the decade of my youth "Super," but it seems to be the default alliterative term for the 10 years from 1970-79 for a host of music compilations, retro websites and Twitter feeds, nostalgic books and news special retrospectives. 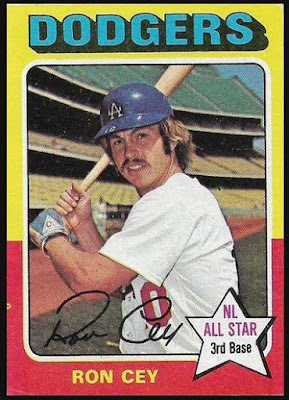 The Super '70s don't seem all that super when you compare it with decades that followed. The 1980s, in particular, seemed to be all about Bigger and More. 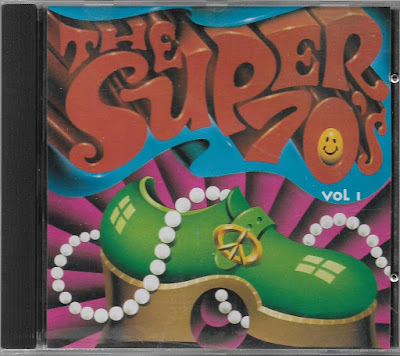 But there is no alliteration to "Super Eighties". 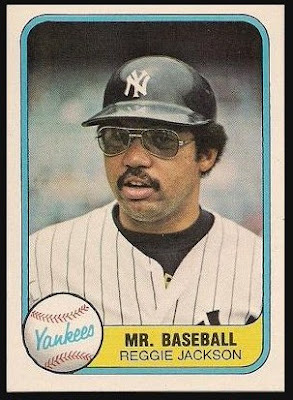 And also, Topps didn't issue a set called "Topps Super" in the 1980s. To kick off the "Me Decade" (no alliteration in that one either), Topps issued special sets in 1970 and 1971 called "Topps Super". 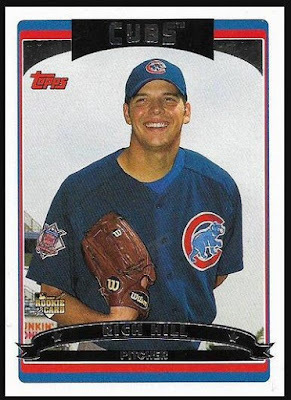 The cards lived up to the name. 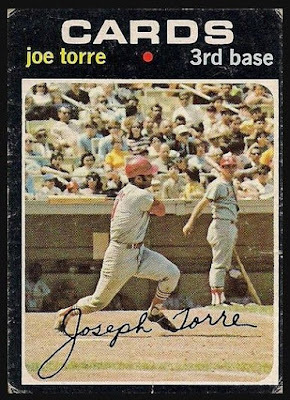 They were almost twice the height of a typical card and they were thicker than almost anything issued before and most things since. 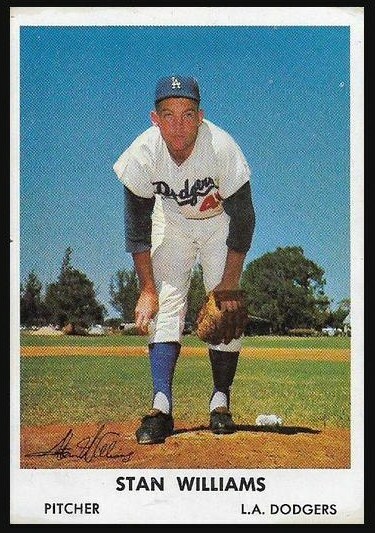 The thickness was a selling point to Topps as it pointed out the trait on the box -- extra thick cards! That combination of height (more than 5 inches!) 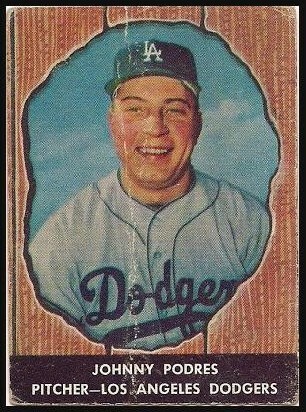 and heft made for one of the meatiest card issues ever. These were cards with substance. More slab than card really. You could easily use them for drink coasters. 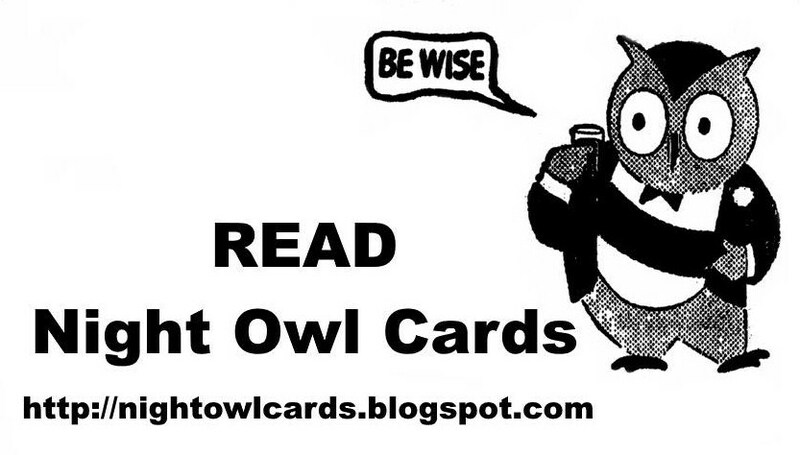 Sometimes you have to shut up for a moment and let the cards demonstrate. 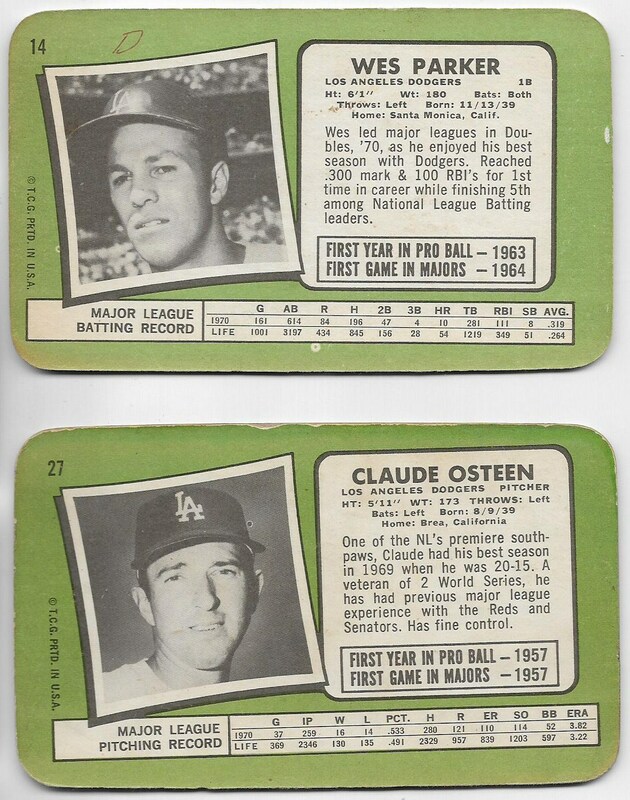 Those are the two Dodgers card from the 1971 Topps Super set. I received them from Nick, who sent some cards already a few weeks ago. He said that he forgot to send these, which doesn't seem possible to me given that they could knock out a small rodent. The Parker-Osteen pair, combined with the Davis-Osteen pair from the 1970 Super set, completes the Dodgers Supers for me (no I will not let a stray, hand-written "D" prevent me from completing it). 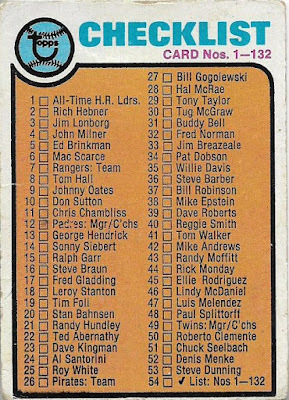 Someone will inevitably point out that Topps produced a set of "Supers" in 1969, too, one full year before the Super '70s began. But that was just a test issue and it was not nearly as large as the 1970 set (you can see examples of what they were going for in 1969 in last year's Topps Archives set). 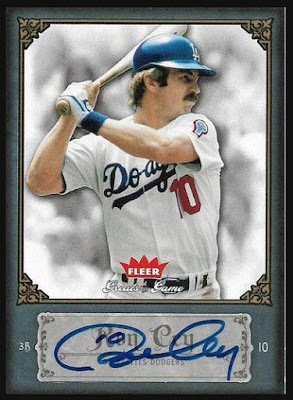 Is Topps Supers how the "Super 70s" name came to be? Until someone can cite the first instance of someone using "Super '70s," then I'm going with Topps Super starting the whole decade nickname. 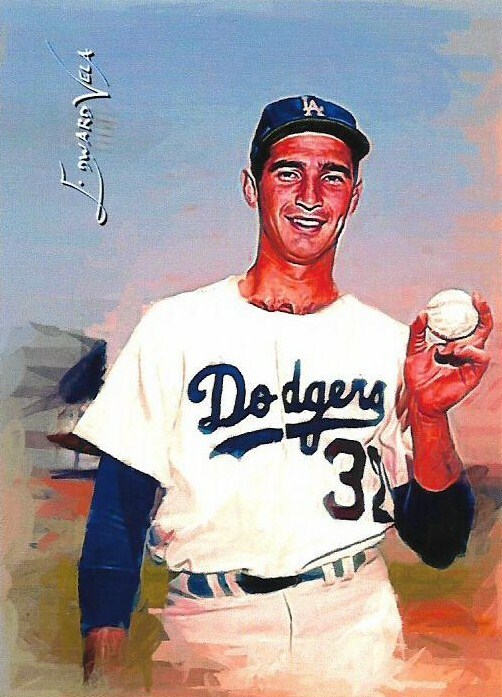 Once again, baseball cards places a lasting imprint on our culture. Nick sent a few other cards along with the Supers. I'll just show these three. They're not anywhere near from the '70s. They're Sportflics from 1990. But since it's been years and years and years that these particular Sportflics have sat on my want list, I think they should be shown. Wiping longstanding wants off my list is certainly Super. 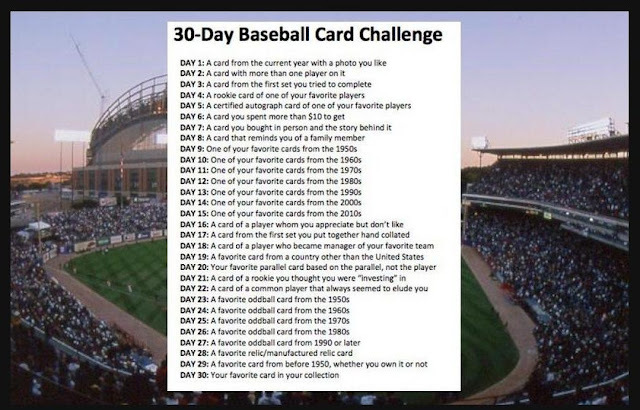 If you're one of the many suckers (of which I am one) wasting their time on Twitter, then you know that I've answered the 30-Day Baseball Card Challenge on that particular social media forum. I completed the entire list just yesterday and missed only one day, I think. Not bad, considering I was out of town on vacation for five of the days. But now that the task is done, I think recapping the entire thing would make for a decent blog post. Twitter is not for posterity. This blog is. Also, Tony L.'s challenge covered some well-worn territory on this blog, but there are a few days that could use more explaining than is possible on Twitter. So if you're not on Twitter, here is the full list. If you are, well, ignore it like it's a trade post. 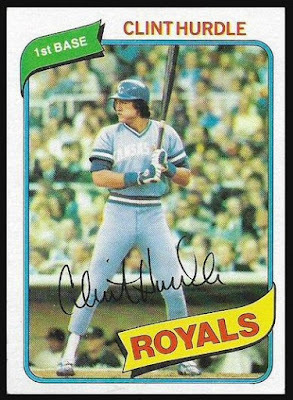 The older I get, the more I want baseball cards to amuse me, like they did when I was a kid. 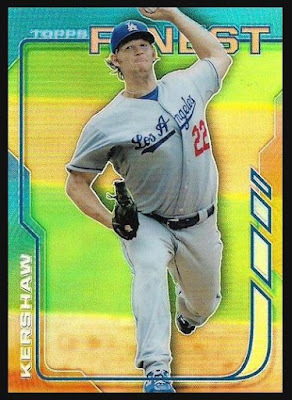 There is precious little of that in modern-day cards. 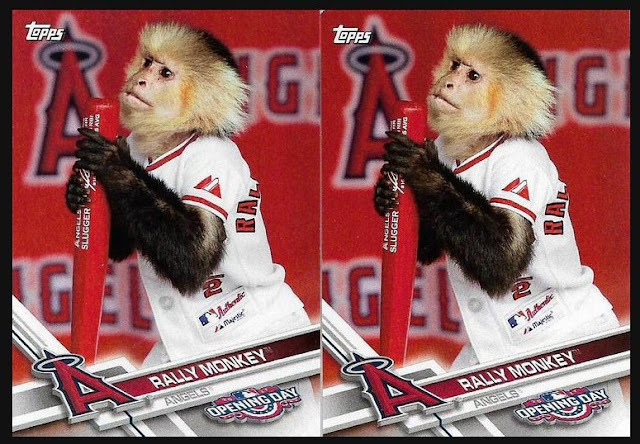 But a card of the rally monkey in this year's Opening Day may be the card of the year. I'm quite sure a monkey on a baseball card was a Christmas wish of mine many years ago. It's so amusing I had to pull two. 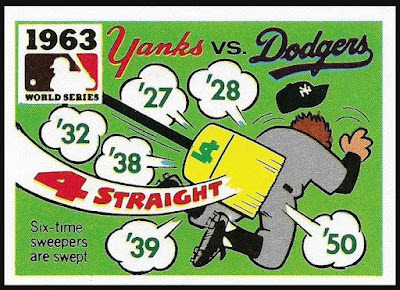 This immediately brought to mind the fantastic combo cards of the 1950s and 1960s. 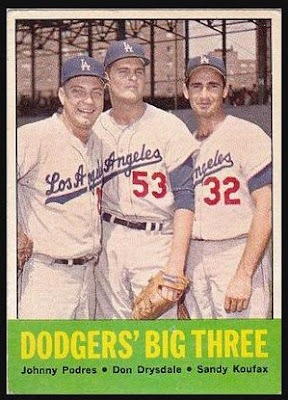 Lots to choose from but there's nothing more impressive than the Dodgers' Big Three from 1963. Drysdale seems a little more impressed with Podres with the way he's cuddling up to him. Some of these challenges have been interpreted in different ways. I interpret this one to mean "actively and consciously trying to complete the set." I collected between 1975-79 but not once did I think "I'm going to complete this set." It was either not a thought in my head or completely unrealistic to me. In 1980, I decided I was ready. Turns out was about 16 cards short of ready. Sometimes on Twitter you've got to go modern to get anyone to notice because everyone on there was born in 1993. 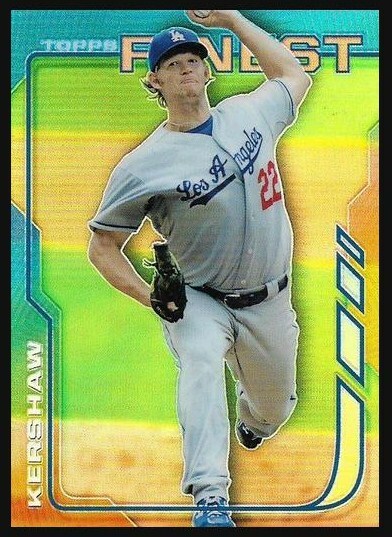 This is probably my favorite rookie Kershaw of all the rookie Kershaws. 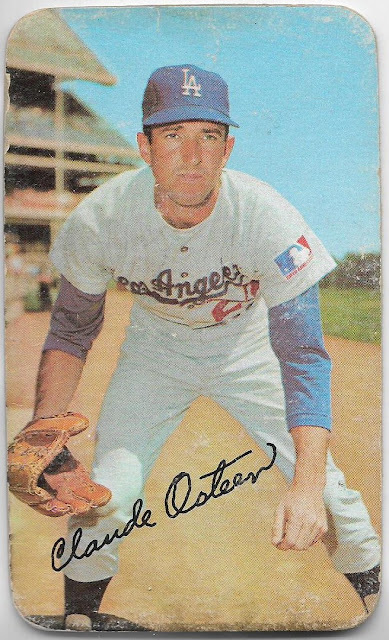 And of all the Red Hot Rookies released that year, he turned out to be the red-hottestest. 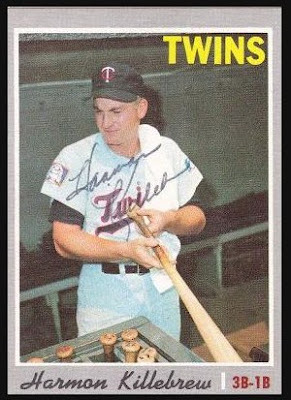 No Chris Volstad or Collin Balester anyway. Not the most attractive Ron Cey certified card I own (a little drab for my tastes), but I was in a hurry that day. The 1975 Topps set runs through this challenge like it runs through anything in my life. 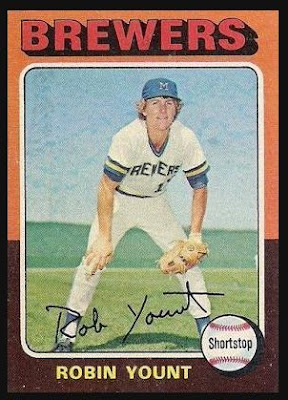 Yount was my first thought. 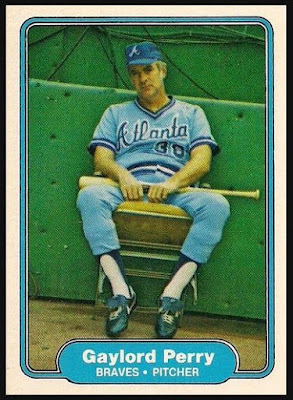 I remember telling myself in the car, "OK, night owl, if you want to complete the 1975 set you've got to throw down the cash for the Yount. TODAY IS THE DAY." 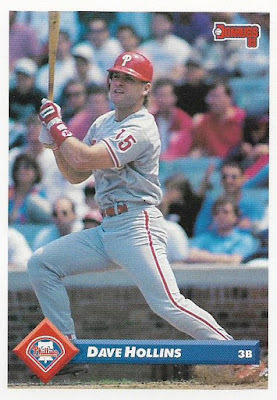 I regurgitated this card and story for Twitter mostly so I could link to the post because it's difficult to tell stories on Twitter. I'm not linking again. I've done linked enough. 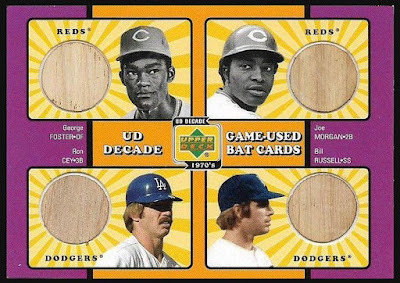 The '75 set returns. This is the first card I remember my brother pulling from a pack of cards. Pinning down a single favorite from a decade is an impossible task. 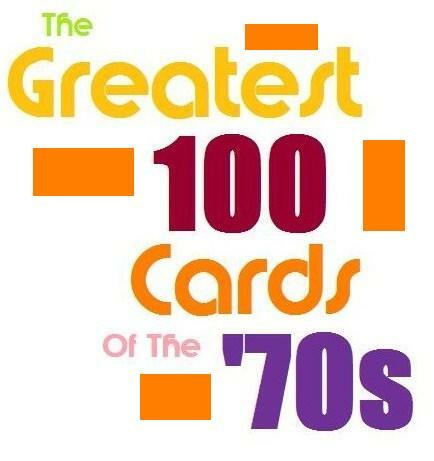 Fortunately, I like a lot of cards, so I just closed my eyes and selected. 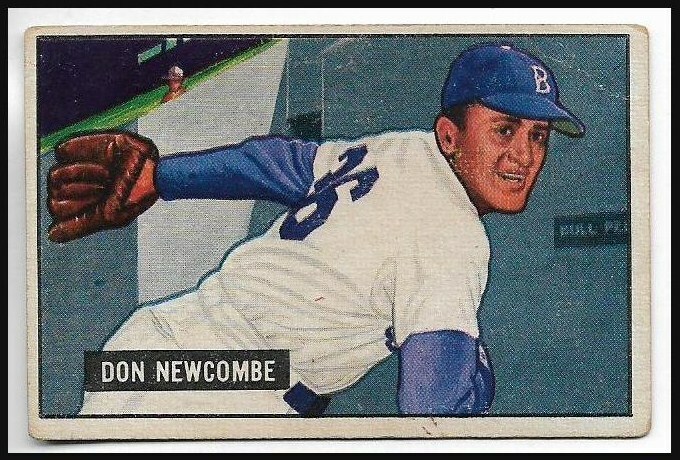 You can't go wrong with an early '50s Bowman of Big Newk. I went oddball before the Challenge even got to the oddball questions. I can't help it. I will always be amazed that cards with a design this pristine came out of a greasy potato chip bag. A more difficult question for me than someone asking mom and dad, "which child is your favorite?". 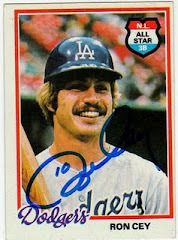 This is probably the reason why I still haven't started "The Top 100 Cards of the '70s" countdown. There's a lot to choose from for this decade, too. 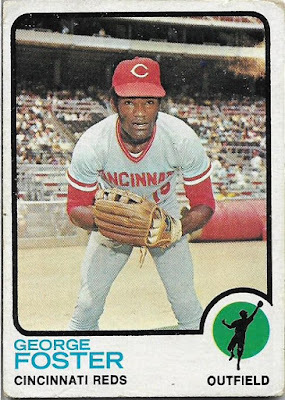 Lately, I'm gravitating toward early '80s Fleer because the cards are a little more human than the other cards being produced that decade. The '90s was all about "shock and awe." I grabbed this Nomo "video card" because it was fresh in my mind and I was awed. It wasn't that long ago, but the Upper Deck Masterpieces sets demonstrate as well as anything what a different world the hobby was in 2007, 2008. 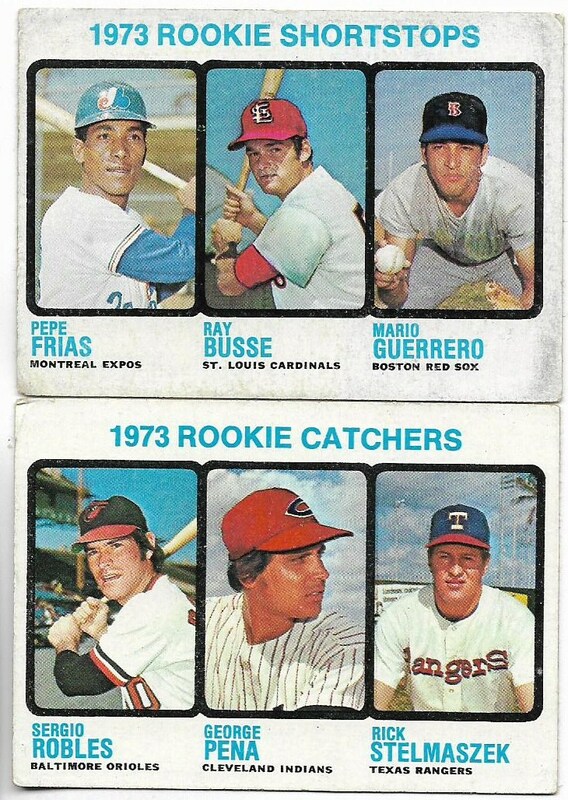 I know that if I did not grow up in the 1970s and I had card shops close to me, I would collect Finest every year. I've said it before, but to me, the coolest designs come out of Finest. Not every one is a winner, but some I love. 2014 is an example. I tried doing this for current players and failed miserably: if I don't like them, I don't appreciate them. I needed to put a bit of nostalgia between me and the player. When I did that, Reggie came to mind instantly. I restricted this to "completing it within the current year." 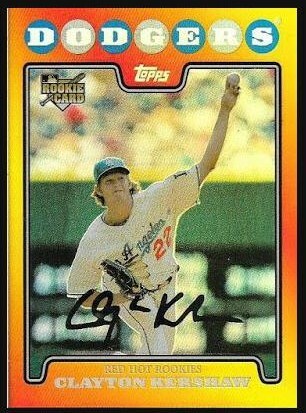 Some would be surprised I didn't do this until 2006, a full 30 years after I started collecting cards. But I've always treated collecting as something that is fun that "I want to do." 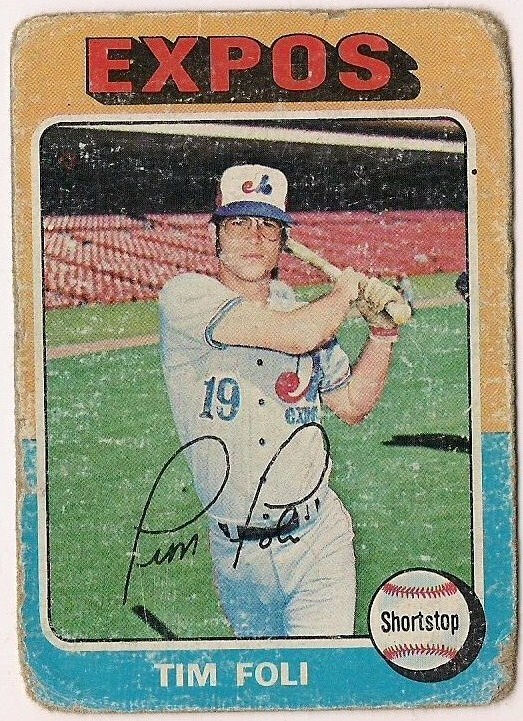 I just didn't have the focus many of those years to consider completing a set "fun". I do now. 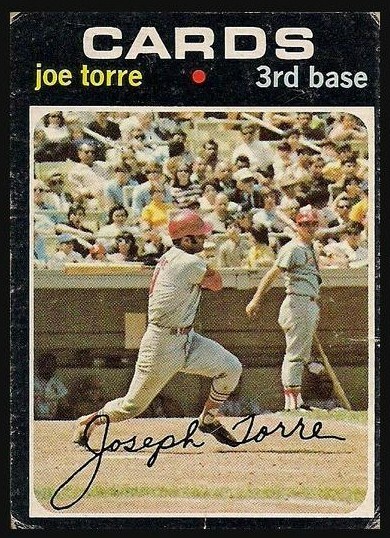 Fans of a lot of teams could pick Joe Torre. 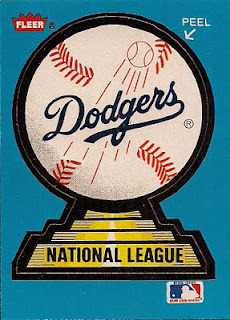 But I was so pleased that I could make a connection between this card and the Dodgers that I selected it. 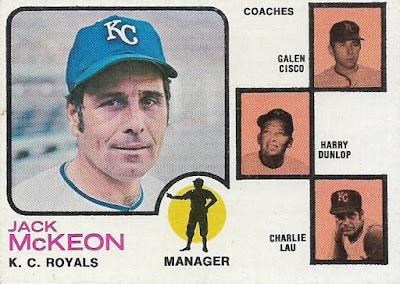 I wish I selected one of those O-Pee-Chee cards with the conflicting team name and uniform but I was in vacation mode here and selected what I could find. Still pretty fantastic. Blue parallels make me want to collect nothing but blue parallels. I have never done this. 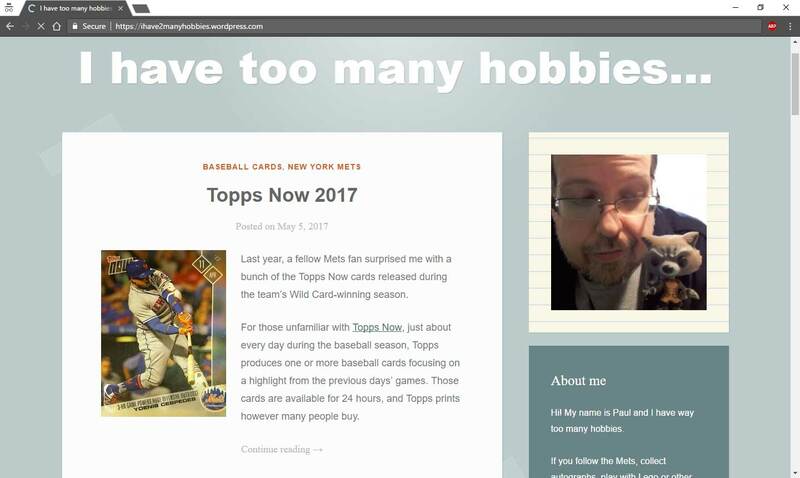 Fortunately as rookie hype was slowly ascending, I was moving away from the hobby. 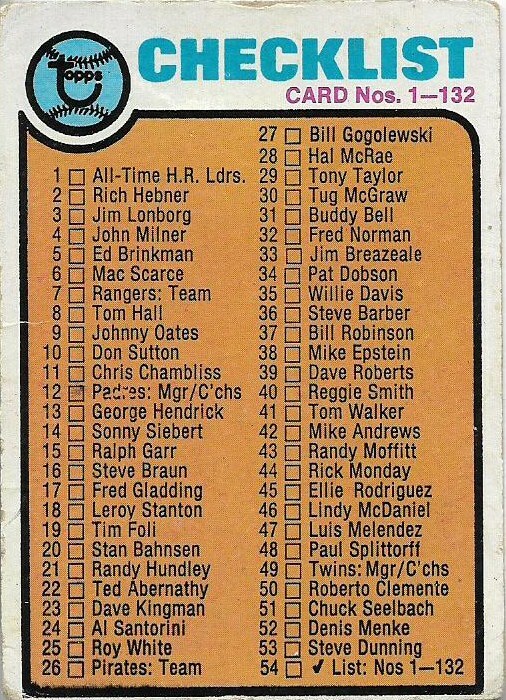 I barely collected between 1984-88 and took another break in the mid-1990s. I missed that whole scene. 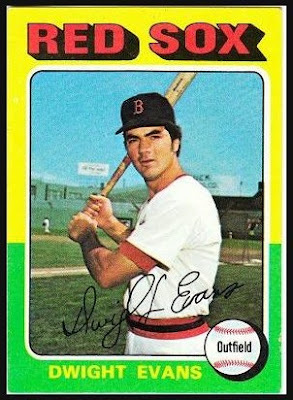 Dwight Evans' elusiveness hasn't been restricted to a single set. 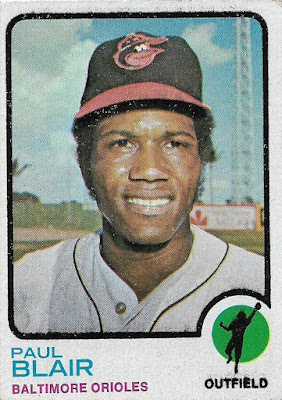 There are several sets from the '70s that I've completed in which I've discovered Evans among a list of of more well-known stars as the last few cards I needed. A couple of other veteran collectors confirmed it for me: Evans is indeed an elusive card. Thank goodness for the blog and already scanned pictures. I had easy access to this genius combination of cardboard and root beer. One of the more obscure cards I own (I'm not Mark Hoyle) and definitely the most obscure one I showed in the countdown. From 1960 Darigold Farms. Oof. Another tough one. What to pick? Kellogg's? Hostess? 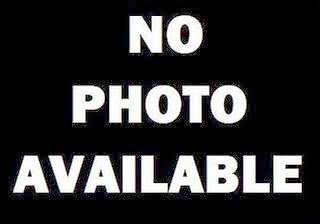 TCMA? 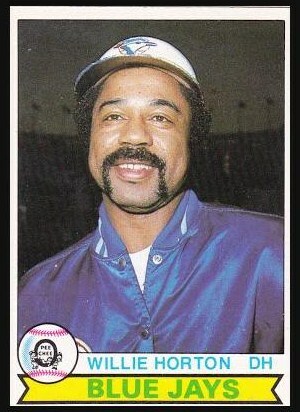 I settled on Fleer stickers because they might have been the coolest cards I ever saw during the '70s. 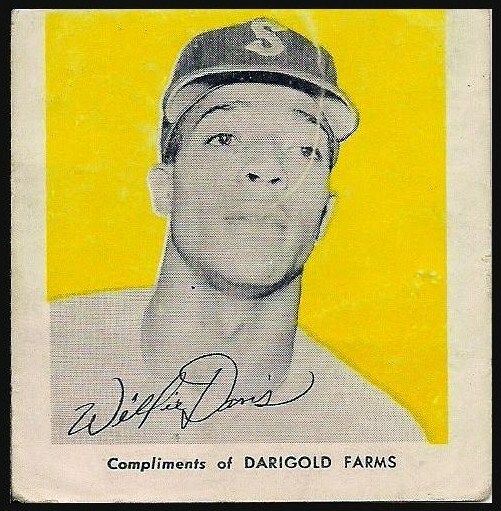 Before you could find these Topps glossy cards in rack packs and everywhere, you could only get them by ordering them off the Topps wrapper/promo card and waiting for Topps to mail you the cards to your house. 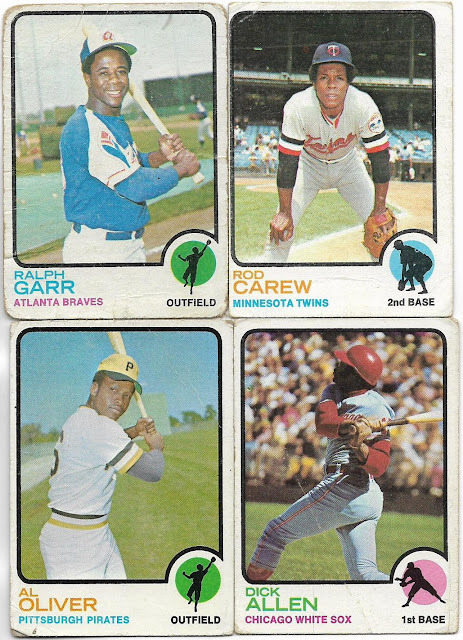 This may not seem like much now, but back then the though of Topps mailing cards to your house was the strangest, most wonderful thing ever. And the cards were glossy! Not the golden age for oddball cards. 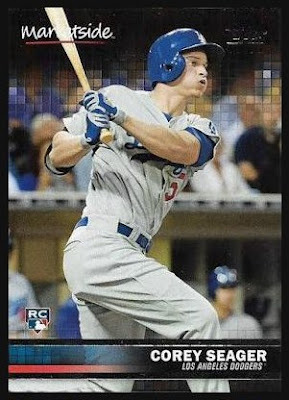 I immediately chose last year's Marketside set because it revived the concept of oddball cards as I knew them. 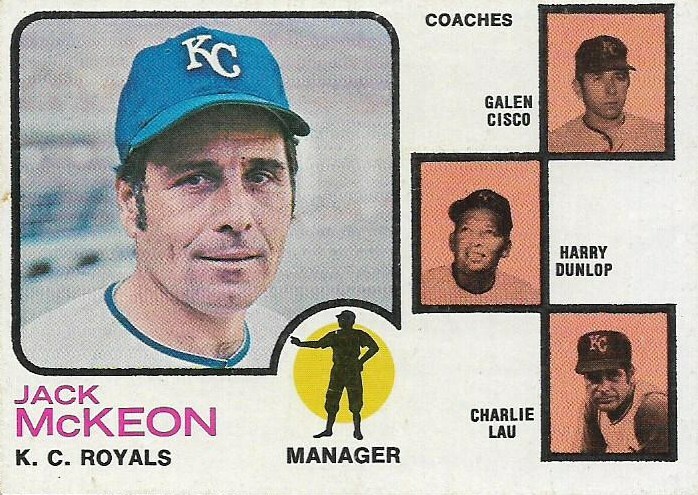 This card featuring hated rivals from the 1970s is filled with things I love about the '70s and baseball. So if all of that wood in there came from the same 2x4 purchased at Lowe's, don't tell me. This is the only card in the Challenge that I don't own. 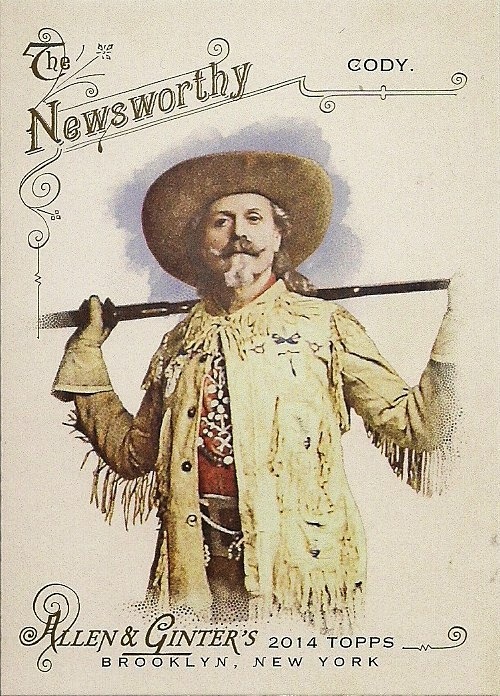 As a young teenager familiarizing myself with the famous cards issued before 1950, I discovered that not many of them appealed to me (I still feel that way). 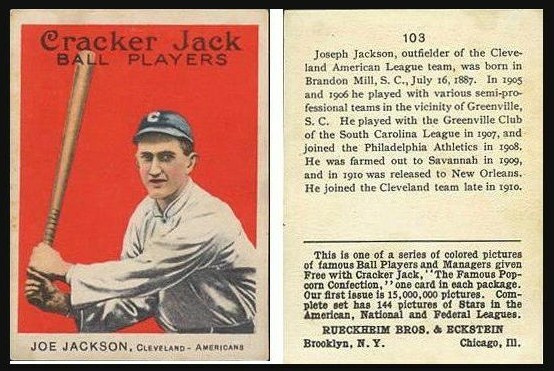 Then I saw the 1914 Cracker Jack Shoeless Joe Jackson card and it had plenty of appeal! 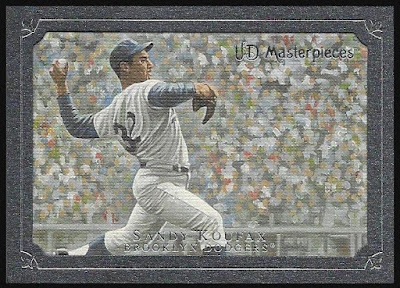 I never expect to own this card (probably smarter to find a reprint and not worry about counterfeiting), but it's nice to look at from afar. Last question and easiest question. 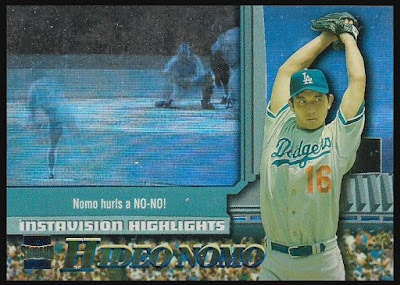 This will never not be my favorite card. So, now I am really done with the 30-Day Baseball Card Challenge. Thanks, Tony for starting it. I hope I didn't rehash too much. 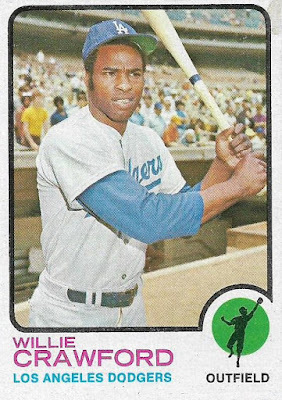 I received enough of a push recently -- from three different directions -- to officially drop the green flag on starting my completion quest for the 1973 Topps set. 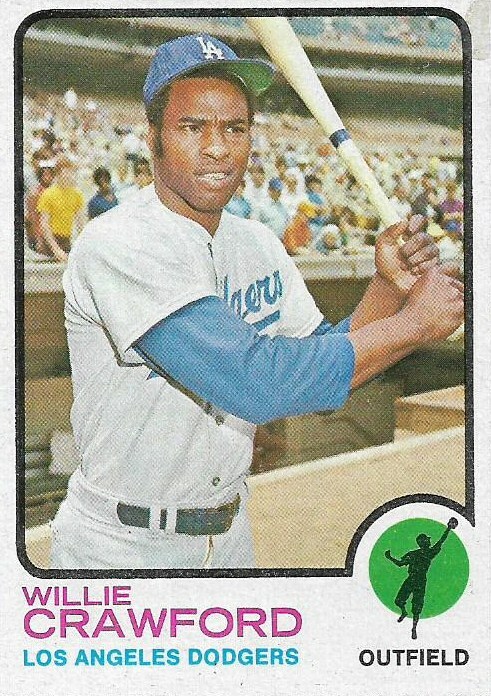 The first push came when I completed the 1972 Topps set. No other set to get in my way now. The second push came when I lost my want lists. The rehaul now includes the 1973 Topps set and, man, I may have made a wrong call including names with all of the numbers! If that angry mass of text intimidates you and keeps you from sending me anything ever again, I completely understand. The final push came when I received a package in the mail from the mystery sender again. 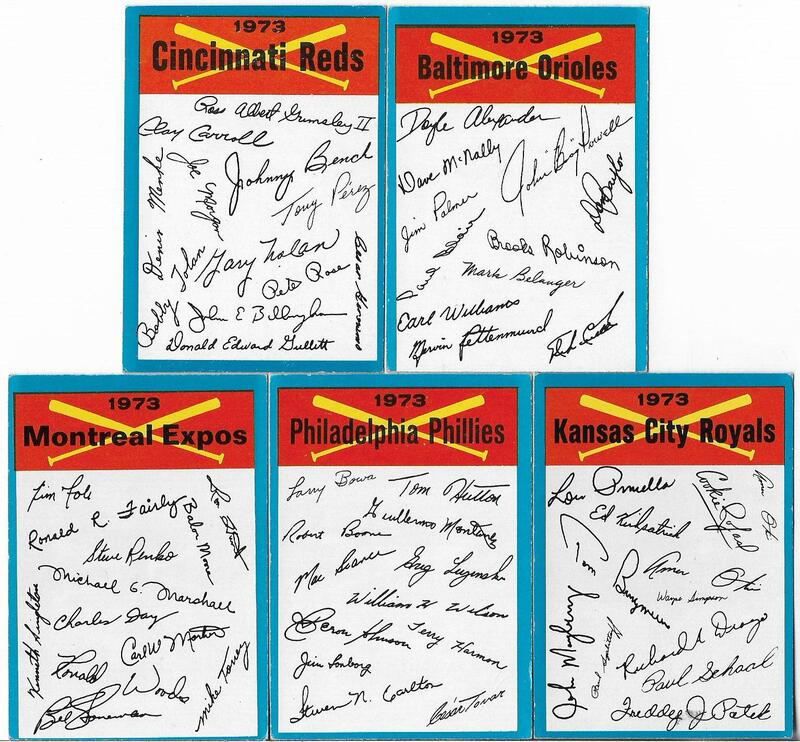 Last year I received a couple cards from him and then now this package that mostly included some 1973s. 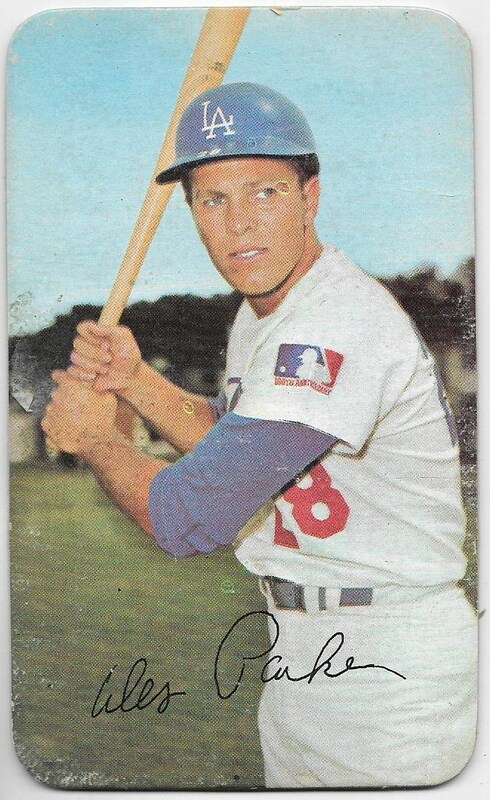 He apparently completed the '73 set already and was nice enough to send a few extras my way, but I don't know if I believe any of this because there's no name with the note he sent and no return address. Really, I don't mind if you want to be anonymous, just tell me so I'm not pestering other people who didn't send the cards. Then again, this may be a case of my deteriorating brain forgetting someone who I'm supposed to damn well know. But enough about my hang-ups, let's see some of the '73s. 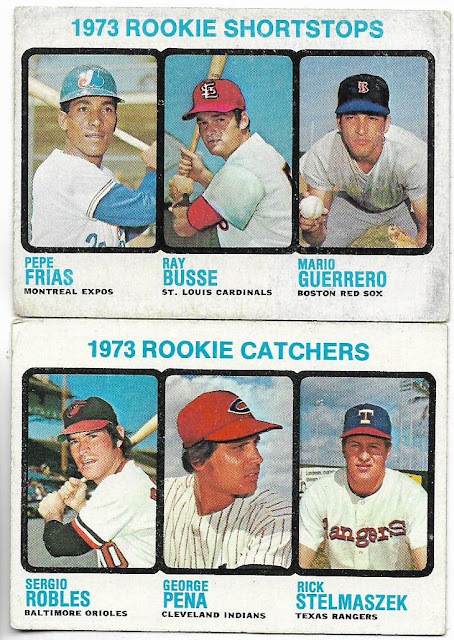 Here are some '70s favorites to get my '73 completion quest off to a "rough" start. This foursome received plenty of love and care at one point. I plan on upgrading all four. But for now let's just enjoy that they're in my possession. I may or may not do upgrade these two. The rookie subset appears in the final 60 cards of the set, which aren't exactly tough to find -- this is not 1971 or 1972 here -- but they can be an inconvenience. 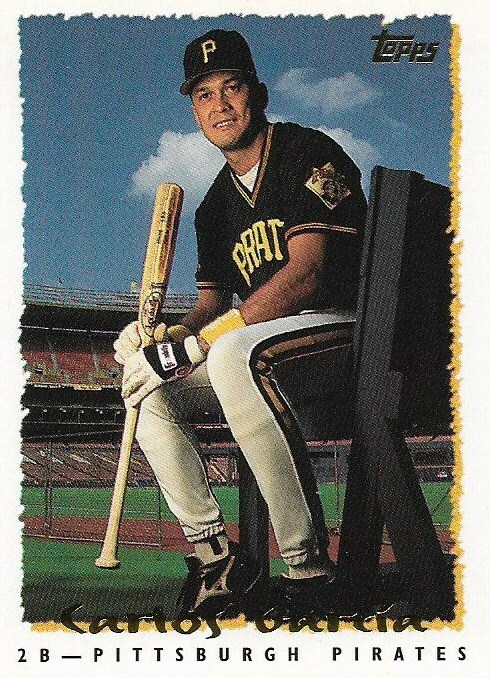 Check out possibly the worst airbrushing job ever on Mario Guerrero. These fellows will head right to the 1973 Topps binder that I have not created yet. 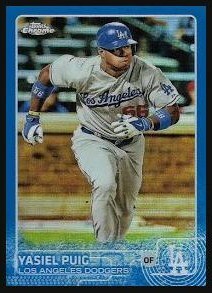 Jose Pagan is the penultimate card in the set! And it's already mine! And let's not forget Reggie! A little paper loss is not going to deter me from officially placing this in my collection. Let's not be persnickety. It's Mr. October, on one of his worst-looking cards! 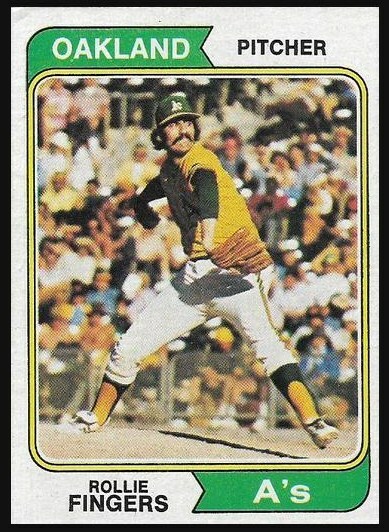 1973 Topps you beautiful disaster! Mystery sender also provided five of the team checklists because everyone always forgets the checklists. I really appreciate this. Not related to the '73s but also appreciated were two more Edward Vela art cards to go with the Pee Wee Reese I received from mystery man earlier. Absolutely beautiful. 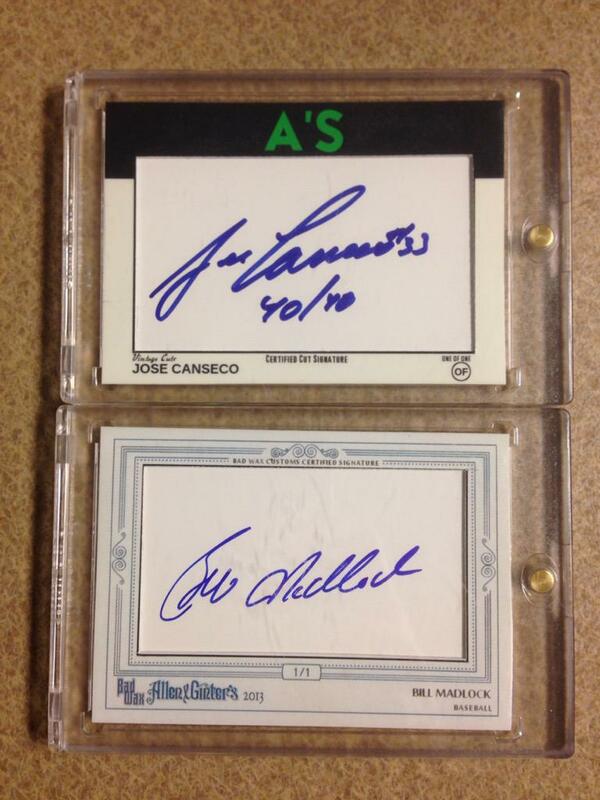 Couldn't have selected two finer individuals for these two cards. 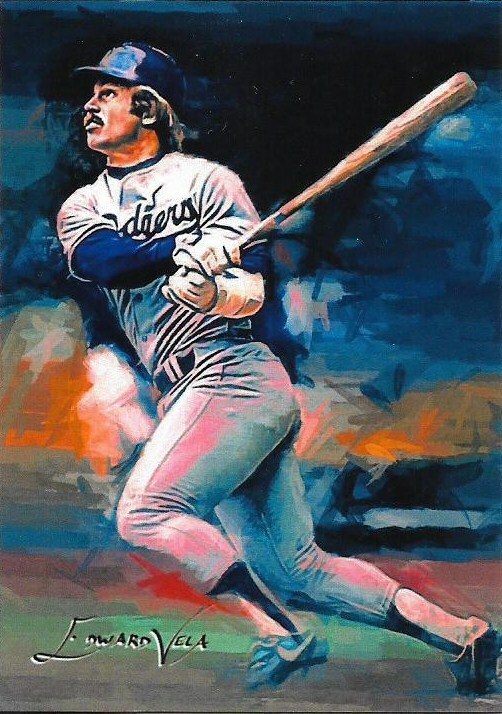 I'm thrilled that I get to add this Ron Cey card to my collection, signed by the artist himself on the back! So there you are, the 1973 set gets off to a mysterious start. I know I'm going to want to start hacking into that giant want list soon. Now I know why I usually refrain from adding set want lists until I've made a decent dent in the thing.